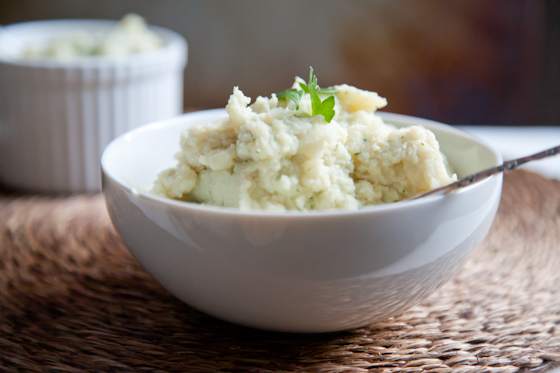 Mashed potatoes are one of my all-time favorite savory sides. 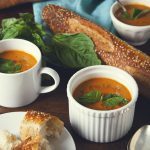 They epitomize comfort food to me, and I love to try different variations of herbs and substitutions (like vegetable broth in place of dairy) to help lighten them up. However, there is such a thing as too much mashed potato. 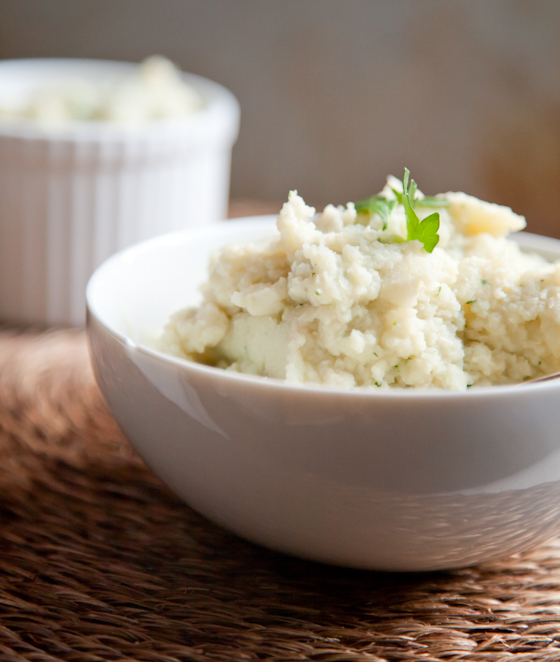 Enter: healthy mashed “potatoes” made from cauliflower and beans! For whatever reason, my family never seems to have mashed potatoes around Thanksgiving or Christmas, so this year I decided to change that. I made roasted garlic and sage mashed potatoes for Thanksgiving, and recently, caramelized onion mashed potatoes for Christmas. And I made A LOT. Like, a full stock pot’s worth both times, just to make sure there were plenty to go around—and then I proceeded to eat leftovers for a solid week after each holiday. I think it’s safe to say I made up for not having mashed potatoes for the last 25 years. And yet, yesterday I found myself craving them again! Realizing I needed to cool it on the potatoes for fear I’d turn into one, I created a mock version using cauliflower and cannellini beans instead. I’ve tried using all cauliflower in the past, but it tends to be a little watery on its own, and the texture isn’t quite right. 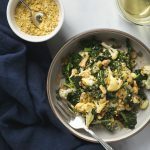 The cannellini beans definitely help to make them thicker and creamier, and they also pack a great, plant-based protein punch. But most importantly? These healthy mashed “potatoes” taste awesome! 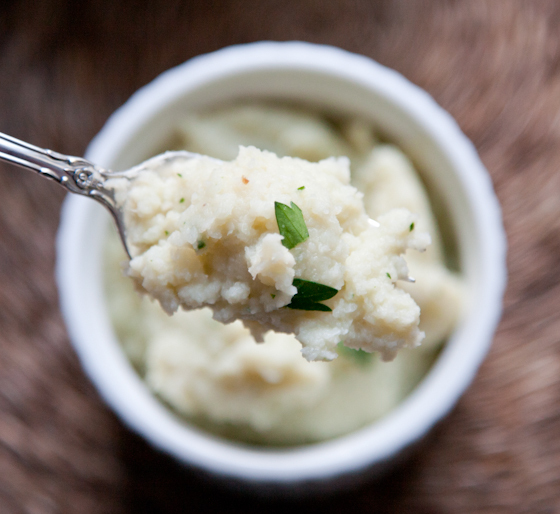 If you're looking for an alternative to traditional mashed potatoes, this 30-minute mashed cauliflower and cannellini bean combination hits the spot! 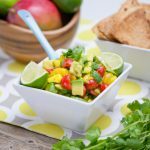 Healthy, easy, and very satisfying! Heat the olive oil in a small frying pan over medium heat. Add the sliced garlic, and cook until slightly browned. 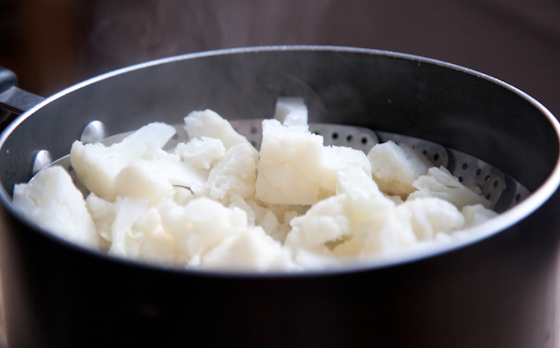 Meanwhile, place 1-2 inches of water in a large pot and bring it to a simmer, covered, over medium-high heat. Place the cauliflower in a steam basket in the pot. Cover and steam until fork tender, about 10 minutes. 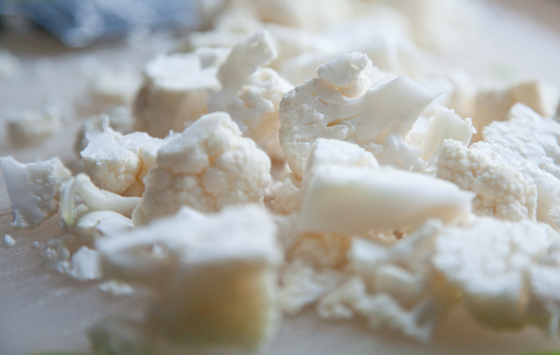 Remove the cauliflower and set it aside. 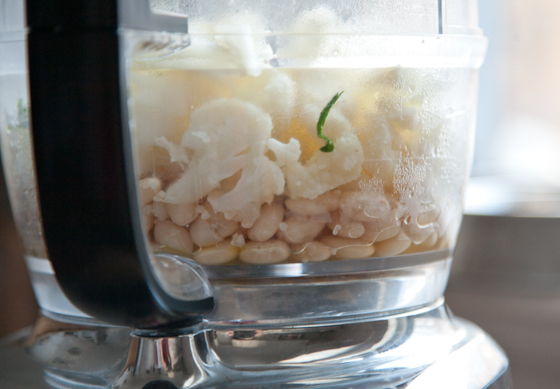 In a food processor, combine the garlic-infused olive oil, steamed cauliflower, cannellini beans, vegetable broth, and parsley. Process until smooth (you may need to scrape down the sides of the bowl a couple of times). Season with salt and pepper. Serve warm and enjoy! I wonder if this would be good with one those purple or yellow cauliflower heads…maybe not. But purple mashed potatoes would be awesome! I’m not sure I’ve ever tried a purple cauliflower before…assuming the flavor is similar, I’d say that would be awesome! I like that idea! For Thanksgiving, I faked out the family by serving half potatoes and half cauliflower, but I never though of opting for beans. Thanks, Tiff! I was really happy with how this recipe turned out. I bet half potatoes and half cauliflower is great! OMG I love this. Hopefully Wegmans will not be out of pre-chopped cauliflower next week and I can get it cheap and enjoy this! THANKS!. I love mashed potatoes but for some reason we always tend to have roasted ones instead during the holidays. I just bought some parsnips with the intent to do some sort of mash with them this week. beans may be going in them as well! Mashed parsnips and beans sounds very promising. 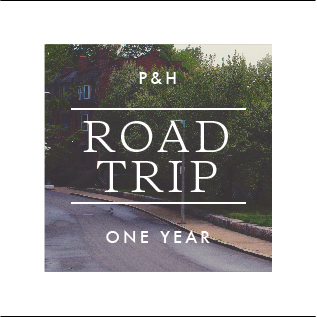 Let me know how it turns out! I also LOVE sweet potatoes. My favorite way to make them is to slice them really thick and roast them at 400 for 20 mins,and then 350 for another 30 mins. Amazing, and so sweet! YAYYYYY!!! I can eat this on my grain free, low GI spike diet!! I can’t have potatoes so this is FAB! Thank you lovie! Mashed potatoes don’t do much for me (except on occasion at a restaurant when it’s probably full of butter… I don’t want to know that 😉 ) but this recipe is definitely intriguing. I’ve tried the 100% cauliflower too and wasn’t impressed and cannelini beans are always so fantastic! I agree, using all cauliflower is a bit watery. The cannellini beans help to give it a more authentic texture. You could also try upping the ratio of beans if you find that it’s still not quite right, or even using a mixture of cauliflower, beans, and a little bit of potatoes. Made this for dinner tonight and made my husband try to guess the ingredients (he was convinced it was mashed potatoes) – we both agreed it was delicious! Love that it packs a lot of protein, too. I didn’t have any veg broth, so I subbed soymilk and it worked fine. Great recipe! That’s great! 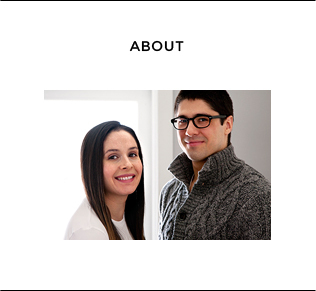 I’m so happy to hear that it turned out well (and that your husband thought it was the real deal :)). Thanks for letting me know! 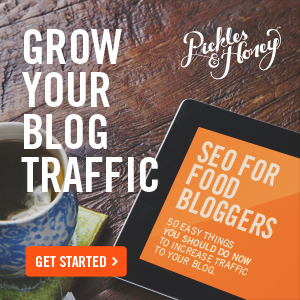 Just found your site from Tasty Kitchen. These mock mashed potatoes look awesome. Even though I almost hate cauliflower, I think with a little butter they might make perfect “mashed potatoes”. I am so having these for dinner tonight! Sounds yummy! Looks great! Is that 3 cups of cooked beans, or 3 cups of dried beans, cooked? This is a very creative spin on mashed potatoes- a food that I absolutely adore! Will give your recipe a try if I can find the cauliflower. This recipe looks amazing. Definitely going to make it this weekend for my parents, who I’m proud to say have jumped on the health-conscious wagon. Is this something I could refrigerate and then microwave the next couple of days? Just made this …added a sprinkle of grated cheese. Sooooo good…and I didn’t feel guilty for having a second bowl! Thanks!!! I was trying new recipes for a healthy way of eating for my family, and I thought this recipe sounded wonderful. I always change recipe’s a little, just my way I guess. I added onion to the garlic oil, I also used homemade turkey stock. Also, when I finished blending, I sprinkled top with low fat cheddar and baked for 15 minutes on 400 degrees. My family decided they liked it, so thanks for the recipe! Hi Elizabeth! 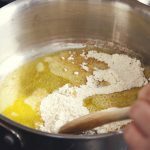 I do the same thing when I’m making recipes – I can’t help changing one or two things. It’s fun to put your own spin on it and make it your own. 🙂 I’m glad your family enjoyed the mock mashed potatoes! Sounds good I plan to make this tonight. Any idea on calorie content? I hope you enjoy the mock mashed potatoes, Rob! 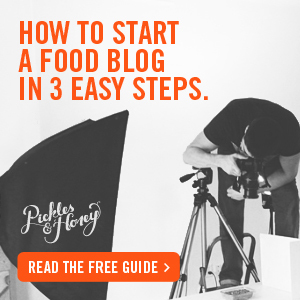 I’m not sure about calorie count, but you can probably plug the ingredients into an online tool to get an idea. Are the beans drained, or in their liquid? Hi Connie. 🙂 The beans are drained. I made these last night to bring into work today to celebrate St. Paddies day with a potato bar and those who were adventurous to try them all thought they were great and asked for the recipe. I must admit they’re not quite the same as a big ole bowl of mashed potatoes but they are a great option for us low carbers! The addition of the beans gives it the substance that just cauliflower lacks, brilliant! Oh, I’m so happy you made the mock mashed potatoes, Nadine! The beans definitely give them a bit more heft than cauliflower alone, and also an extra protein boost! Hi, I just read your popup. So sorry you’re having issues with thieves taking your content. I’m here because you have the best mashed cauliflower recipe! Love it! Thanks for sharing! So sweet of you to leave a comment, Lori. Thank you! A friend of ours has adapted this and she wouldn’t share her recipe. She’s fooled so many people! I finally found yours. I sauteed onion and garlic like one of the commenters said and skipped the liquid. The results…hmmm. Oh, and I used Great Northern beans.